Sage Derby is a rather strong tasting English cheese with deep veins of green sage running through it and Sage and pumpkin are a marriage made in heaven. 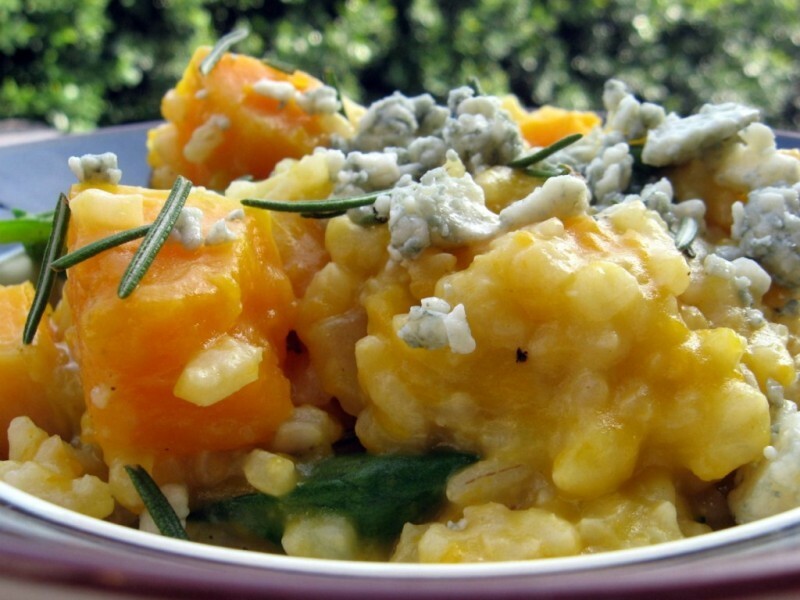 If you cannot get it omit and use a little more parmesan to get the creamy effect of a risotto. boil the broth in a large saucepan. Cover and reduce heat to low. Melt butter in heavy large pot over medium heat. Add onion and sauté until tender, about 5 minutes. 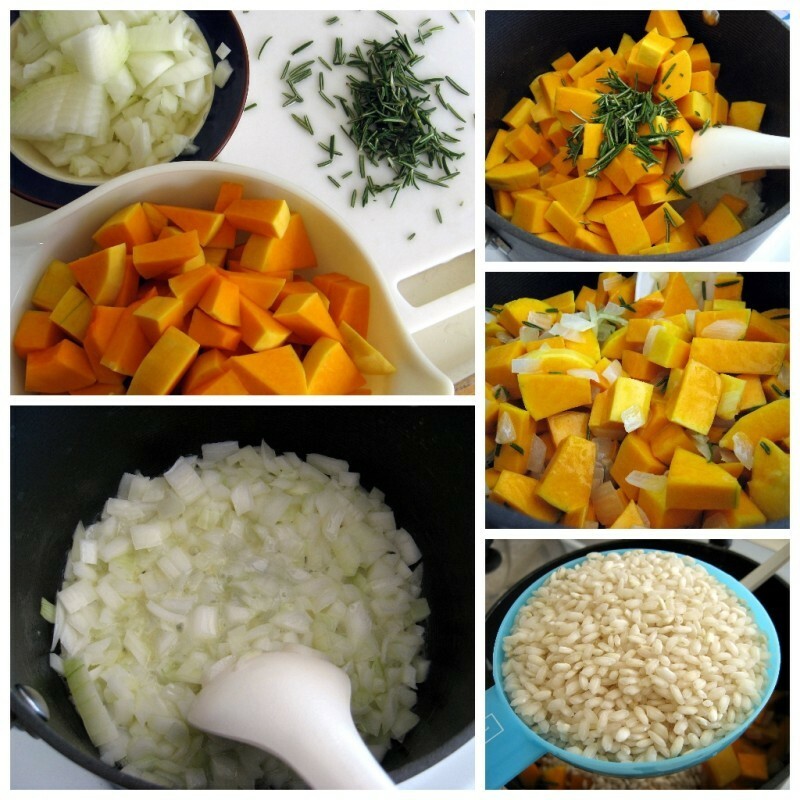 Add squash and 2 teaspoons of tarragon and continue saute to for five minutes. Add rice and stir until well coated with butter. Add the wine and simmer until evaporated. Add six cups of the hot stock and boil. Reduce heat and simmer uncovered stirring regularly until rice is just tender and risotto is creamy and slightly soupy. Add as much extra stock as is necessary to maintain the creaminess. When the rice is cooked stir in spinach, and Parmesan cheese. Season to taste with salt and pepper and more tarragon leaves.